Although the vegan diet has grown in popularity in recent years, all the hype hasn’t taken away from the idea that vegan food is not for everyone or that it only consists of earthy-tasting, bland products. Contrary to popular belief, however, plant-based meals are something that even the most carnivorous of eaters can love. The company’s mission is to offer the world delicious, plant-based burgers, sausages, and crumbles as a solution to the problems created by livestock production – health, environmental pollution, constraints on natural resources, and animal welfare. And guess what? You can even find Beyond Meat at your local Carl’s Jr. for when you’re on-the-go. 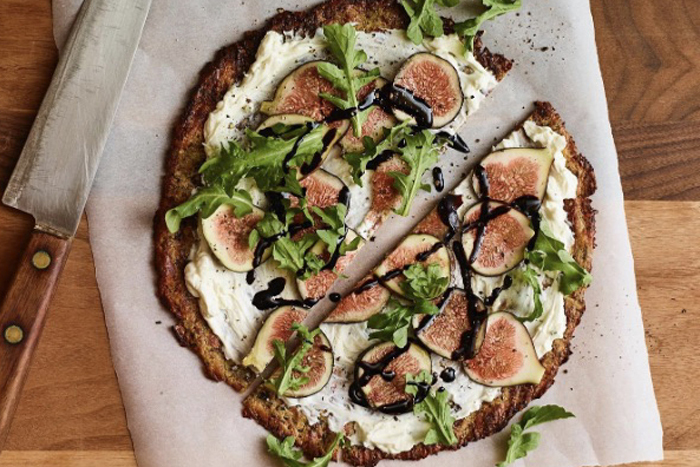 Cauliflower pizza crusts, pasta, crackers, and more? Yes, please! The brand offers a guilt-free option for a carb night with your girls, and the pizza crusts come in a variety of flavors like the original Italian and spicy jalapeno. There are so many reasons to give LAVVA yogurt a try. Its greek yogurt competitors at the grocery store are packed full of sugar, while this plant-based option has zero added sugar, probiotics, and prebiotics. The yogurt is made from eight simple ingredients – pili nuts, cassava root, plantains, lime juice, coconut, Himalayan sea salt, real fruit, and vegan probiotics. What started off as a small team based in Oakland selling their products at farmer’s markets and festivals has grown to a plethora of raw and organic nut butters being sold in supermarkets around the country. Not to mention, the brand’s vegan chocolate spreads, snack pouches, and keto and paleo snacks are basically irresistible. The founders of the vegan chip brand sought to take on the unhealthy snack industry from their family kitchen, and out of that came the bean-based chip that is both healthy and tasty. Its array of flavors – pico de gallo, sea salt, nacho, and more –will leave you salivating for another bag. TCHO offers plant-based dark chocolate options for the health-conscious eaters with a sweet tooth. Choose from gelato flavors, bite-sized candy, chocolate bars, powders, and drinks to curve your dessert cravings. For a delicious weekend brunch, all you need is Birch Benders mix and water. From frozen waffles to sweet syrups, the all-natural pancake and waffle mix brand adds mouth-watering flavor to any breakfast spread. Suja believes in the value of drinking plants to gain its power (aka healthy vitamins and nutrients). The company uses nutrient-rich, organic, non-GMO fruits, and veggies to create ultra refreshing and tasty cold-pressed juices. With its electrolyte-infused coconut water, ROAR is taking the artificial flavoring and sugar out of flavored water while keeping the sweet, refreshing taste. Choose from blueberry acai, cucumber watermelon, mango clementine, strawberry coconut, Georgia peach, and pineapple mint. Banza takes household favorites, such as macaroni and rice, and makes it using chickpeas as a healthy, plant-based substitute, which results in products with fewer carbs yet more protein and fiber. Skinny teas are the latest trend taking over the food and diet industry, but is it actually good for you? Here’s everything you need to know.